Are the professional level of therapy available for every family. Have advanced functions for treating your relatives. Combine innovative technologies, mobility, and maximal comfort. 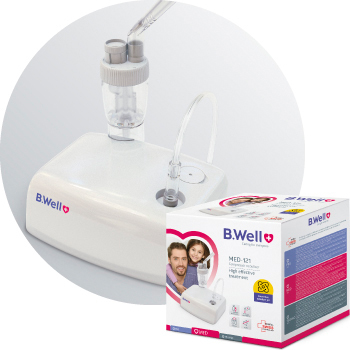 B.Well nebulizers will help you to defeat diseases. Inhalation therapy is the most effective method of treating the respiratory tracts. Mesh spraying technology ensures noiseless device operation that’s convenient for adults, and ideal for children. 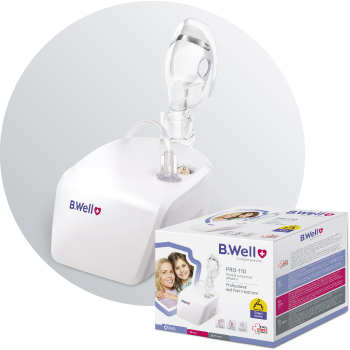 The noiseless B.Well nebulizer can even be used during sleep. 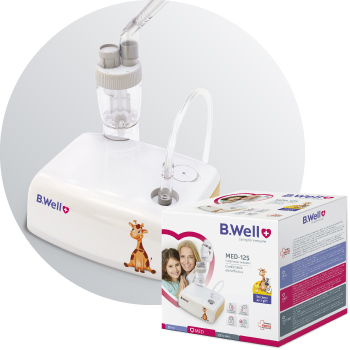 B.Well nebulizers are designed for use with all drugs for nebulizer therapy.  B.Well spraying technologies do not waste any drugs and are suitable for all inhalation drugs, including mucolytics, antibiotics and hormonal drugs. 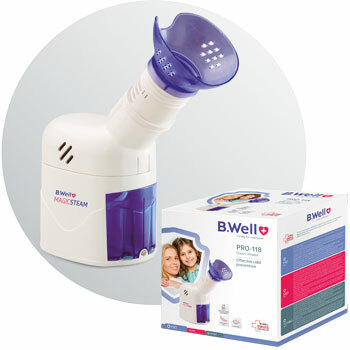 The B.Well steam inhaler with particles bigger than 10 microns, which effectively treat the upper respiratory track and make possible to use decoctions, herbal extracts, essential oils, mineral and salt water for treatment and care. 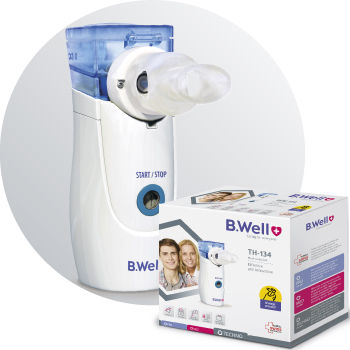 The B.Well steam inhaler includes a cosmetic treatment mask – gentile care for skin. Compact and lightweight, and can be connected to the mains or run on batteries, making it easy to travel with. 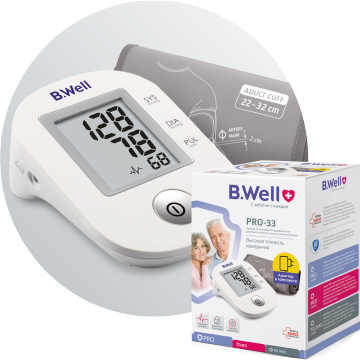 The design of B.Well devices take into consideration the specifics of children and adult health and are outfitted with different sized masks. PRO nebulizers are reliable, efficient, and available for every family. Thanks to the use of time-proven technologies, PRO line combines high quality and optimal cost. Spray characteristics of B.Well devices ensure a professional level of therapy. MED nebulizers incorporate comfort delivered by professional technologies. These devices have advanced functions and options for convenience for the whole family. MED nebulizers are compact, have a low noise level, and are economical regarding medication consumption. TECHNO nebulizers are innovative devices combining mobility and maximal comfort. Mesh-spraying technologies ensure compactness and noiseless functioning, making B. Well nebulizers especially convenient for children and for those who always need a device at hand. B.Well compressor and mesh nebulizers spray medications in the form of aerosol with a particle size of 1 to 5 µm, which permeate the lower and medium respiratory tracts up to the alveoli. 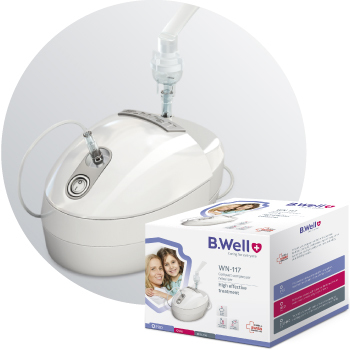 B.Well steam nebulizers create therapeutic steam with a particle size over 10 µm for traditional heat inhalation with herbal teas, infusions, and essential oils for treating the upper respiratory tracts.